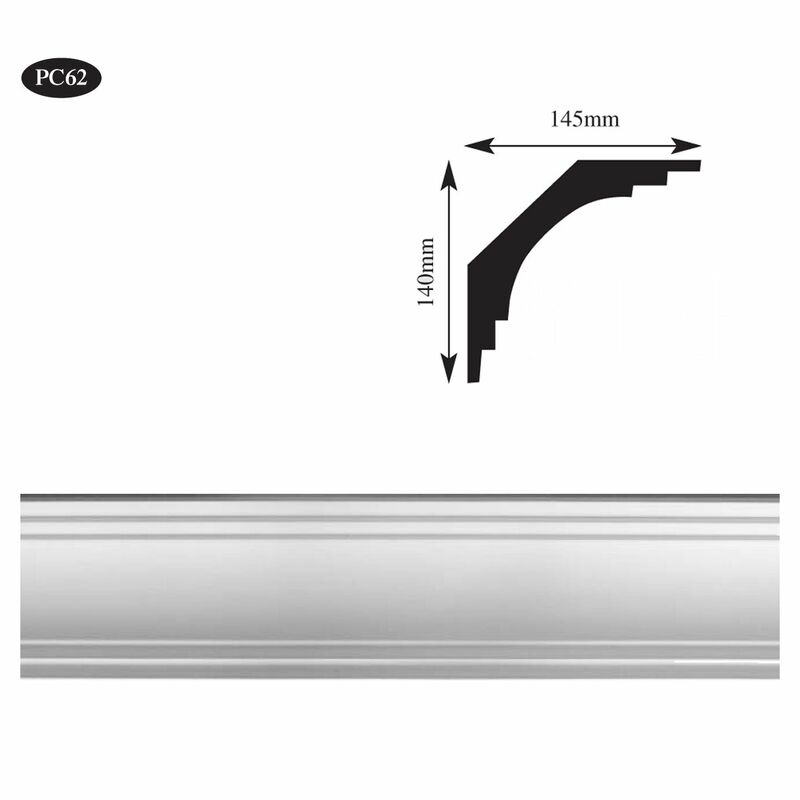 Brands: Plaster Range Item Number: PC61 Plaster Cornice Category: Plain Plaster Coving & Cornice. 67mm High x 145mm Projection. Medium sized, plain, Georgian style plaster cornice. We also offer a complete cornice restoration service and can custom make cornice or coving to match the original. Contact us at the showroom for more details. 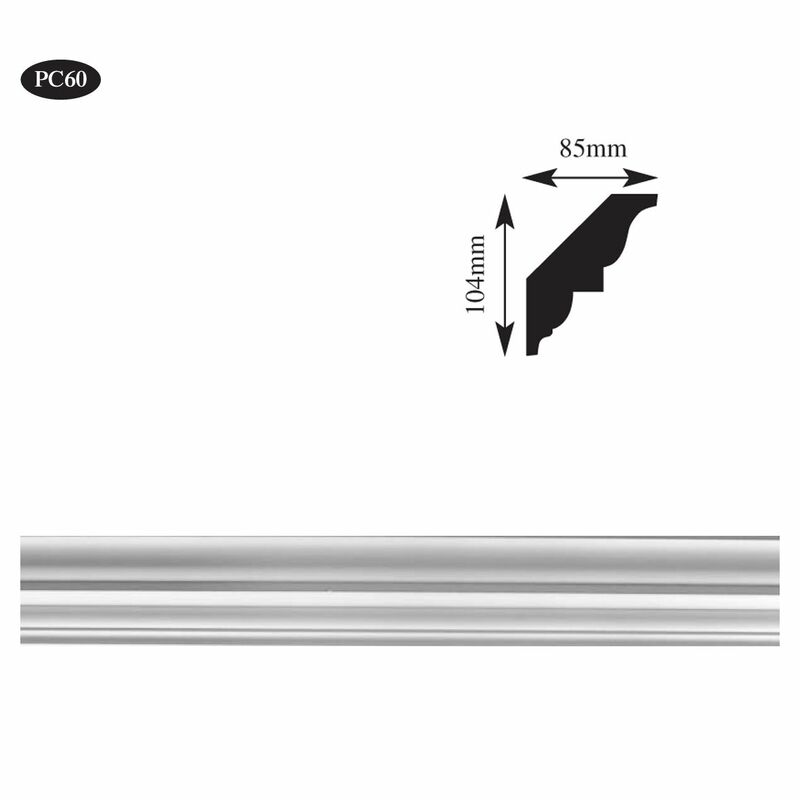 Supplied in 3.1 metre lengths. Tags: Georgian plaster coving Edinburgh, georgian style cornice Perthshire, traditional plaster cornice edinburgh, Traditional Plaster coving Ayrshire. Medium sized, plain, Georgian style plaster cornice. This cornice has a shallow depth so you may want to use along with a plain picture rail or incorporate with tall wall panelling. We have a great selection of panel mouldings, in both plaster and our lightweight polyurethane, which can be used to create panelling designs. 67mm High x 145mm Projection. 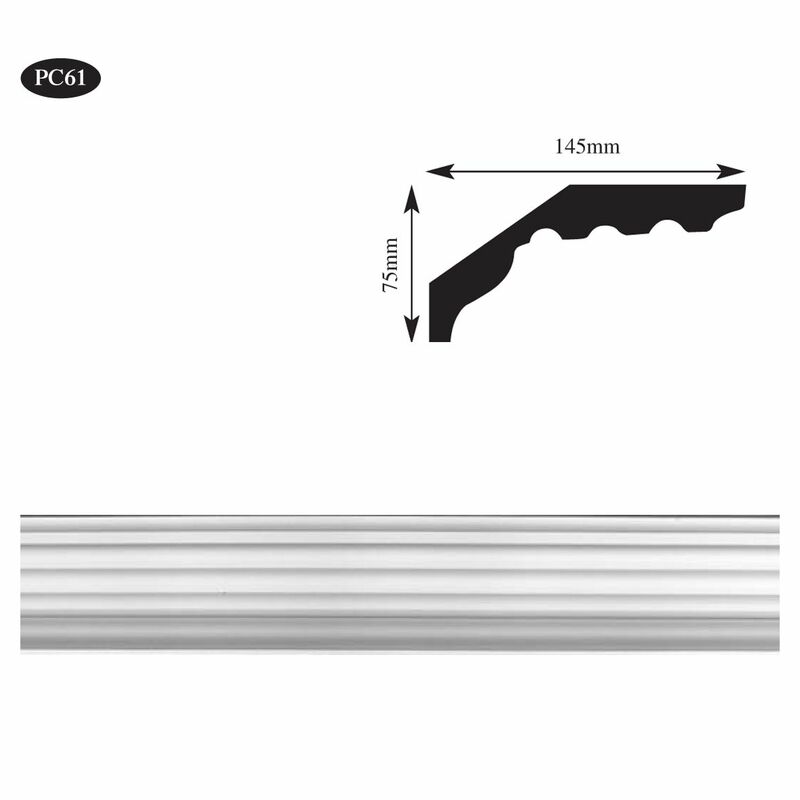 Supplied in 3.1 metre lengths. Our plaster cornice and covings are available to order exclusively from our Glasgow showroom. Please visit us to see a wide selection of our plaster mouldings on display.